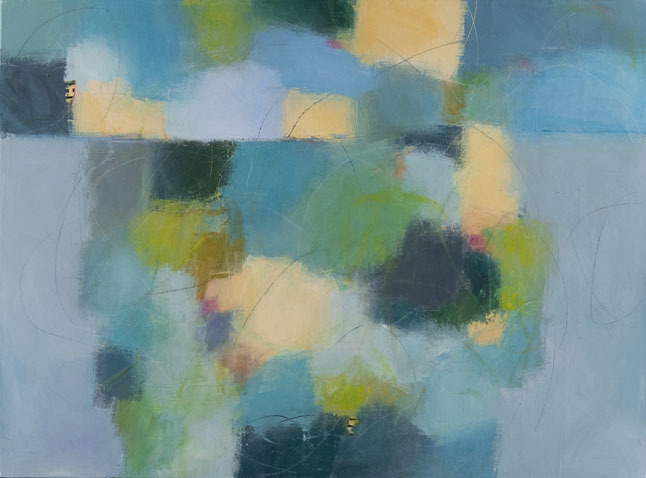 Carolyn Cole finds her voice within the rich traditions of abstraction and creates a cohesive body of work that translates into a language of intense color, sumptuous textures, and organic compositions. Color plays an important role in describing the emotional value and mood of each work. Her forms are instinctively achieved through the process of applying multiple layers of pigment and textured surfaces, layer upon layer, to complete her unique voice. An honors graduate of Portland State University in 1977, her work has been exhibited all over the United States, including the Seattle and Portland Art Museums. She spent ten years as an artist in New York City, where she exhibited extensively before settling back in the Northwest. Her paintings are included in numerous private and public collections including Vice President Al Gore, Gordon Seigel, president of Crate & Barrel, former Presidential Chief of Staff John Podesta, Disney Productions, Zale Corporation, IBM Corporation, Kaiser Permanente, RNM Properties, Salton, Inc., TRW Corporation, American Express, Campbell Soup and the Heinz Corporation. On display through November 30, 2018.